When you want sun on your face and sand between your toes, there’s only one place to go for your next vacation: the beach. Better yet, the beach in Hawaii. This is a real getaway—ditch the alarm clock and get away from morning commutes and meetings. Here, your only meetings are with your concierge, and the only traffic is the line at the bar. 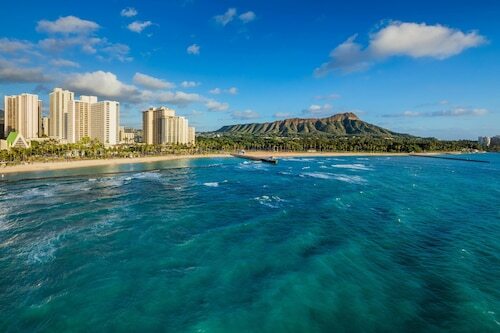 We hope you’re ready to stop and smell the fresh air, because beach vacations in Hawaii won’t have it any other way. Stay in the best location in Hawaii: right near the water. Load up your wagon with your cooler, chairs and toys for the little ones, and don’t worry about having far to go. You’ll be at the beach before you can say “what a beautiful day.” Kick back and relax or get out the bodyboards for some adventure—the beauty of the beach is that there’s something for everyone. 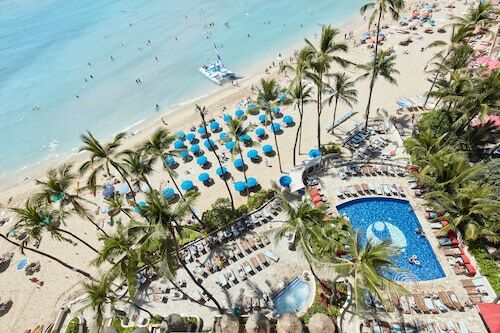 You can make sure everyone has what they need when you book Hawaii beach vacations on Orbitz. Travel your way: We have beach vacations to Hawaii that are perfect for families, singles and couples looking for that romantic getaway. You can rest assured you’ll always find a beach vacation that fits your budget and your travel style. 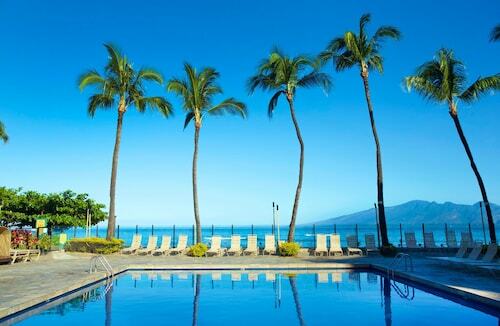 Budget-friendly bundles: Our beach vacation packages make traveling to Hawaii easier and cheaper than ever. Book your hotel and flight together and save. It’s that easy! Everyone loves the beach, and everyone loves the great Hawaii beach vacation deals they can get right here on Orbitz. That’s a win-win situation. Pack your bathing suit and sunscreen, and let the fun in the sun begin!